You are going to Watch Naruto Shippuden Episode 415 English subbed online free episodes with HQ / high quality. Stream Anime Naruto Shippuden Episode 415 Online English sub The Two Mangekyo. Now that Madara is nearby, Black Zetsu declares that nobody can stop it from handing over the Rinnegan and Yin-Kurama, detaching itself from Obito’s body. As Kakashi and Gaara prepare to attack in order to give Naruto the meanings to survive the extraction, Black Zetsu finds itself unable to leave Obito’s body, due to him not allowing it to. Obito questions Madara about who he himself is to the older Uchiha. 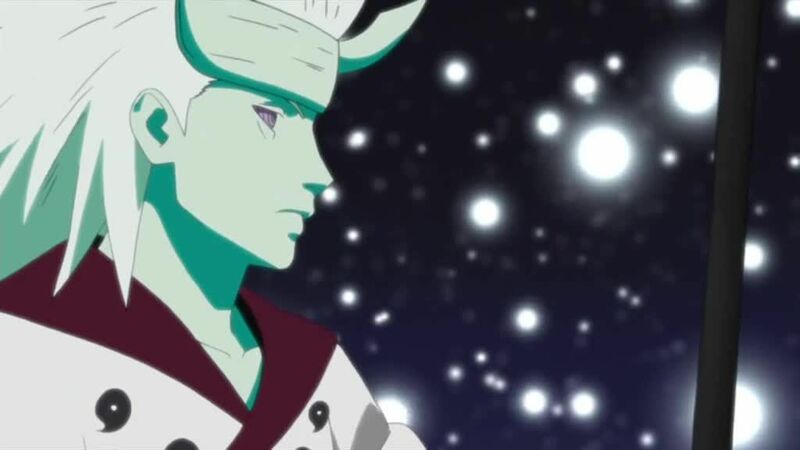 Madara explains to how Obito as a follower of Madara’s ideals is Madara, he who wishes to cancel the world created by the Sage of the Six Paths and to create a new one through the Eye of the Moon Plan. Seemingly giving in to Madara’s words, Obito starts walking towards him with Minato trying to attack Madara as Kakashi and Gaara try to stop Obito, only to effortlessly be stop. However, Obito doesn’t take Madara’s hand and pierces him in the gut. Recalling Naruto’s words, Obito claims that his current self is the same as the one who wanted to become Hokage. He then extract fragments of Shukaku’s and Gyuki’s chakra and tells Kakashi to teleport Naruto and Sakura to the other dimension. After Madara stops Obito from going there himself, Kakashi runs to Obito’s side, with his old comrade commenting on how Kakashi always looks down upon him, remembering the old times in Konoha.